My previous Cuti-Cuti Malaysia (Holiday) was 2 years ago, “The Juara Beach Pulau Tioman Trip 2014”. This time, I want to escape the hot weather of the lowlands to highlands. After all, a last minute decision 3 days 2 nights road trip to Cameron highlands. According to Nelson Allen (marketing senior director of hotel.com), Cameron Highlands is a fantastic alternative destination for Malaysians who want to enjoy a winter holiday. 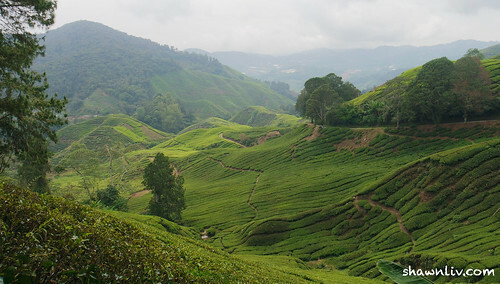 Cameron Highlands is one of the most sought-after destinations for a short getaway especially among Malaysians. It is about 1500 meters above sea level and situated on the Titiwangsa Range; it enjoys a colder and less humid. There are 2 trunk roads up Cameron Highlands with the route via Simpang Pulai being the newer and safer one (Exit 137 ,Simpang Pulai). The older one (via Ringlet Exit 132 at Tapah) is more hazardous with sharper bends, higher risk of landslides, and lack of overtaking lanes.